Right on the heels of Google announcing their GOOG 411 service is coming to an end, Bing just announced that their Android app is now available in on all Android Markets in the United States via all major mobile phone carriers. 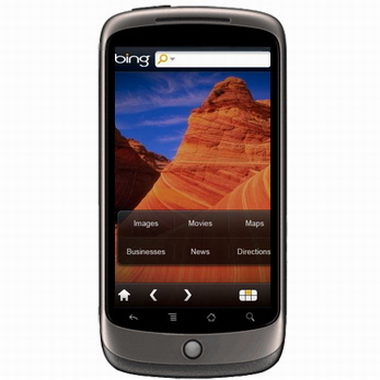 Microsoft made the announcement today via their Bing blog, and continued with saying that the Bing Android App will come preinstalled on all Windows Phone 7 devices. So who will be trying out the new Bing Android app and foresaking the Google search app? From my perspective, unless Bing for Android can facilitate robust voice search functionality, I’m pronouncing it DOA.